Greg Hickman and Tommy Berry will team up with Pierata in the Group One TJ Smith Stakes at Randwick. If racing has taught Greg Hickman anything it is to never look back. And it has been a lesson he has put to good use since Pierata failed by the barest possible margin to claim his first Group One win in the Galaxy last start, a victory that would have added significantly to his future value at stud. “That’s the past, you don’t dwell on those things,” Hickman said. So far, Pierata has given Hickman no cause for concern. The Warwick Farm trainer says the four-year-old has improved again from his Galaxy performance and is ready to take on a star-studded line-up in the Group One TJ Smith Stakes (1200m) at Randwick on Saturday. The race has attracted one of the deepest fields in recent memory headed by two-time Everest winner Redzel, Trapeze Artist, Santa Ana Lane, Osborne Bulls and star filly Sunlight. With an unblemished record over the course and distance, Hickman is comfortable his horse fits into that mix and the market agrees with Pierata among six of the 11 runners at single-figure odds. While the Warwick Farm trainer runs a smaller operation than many with TJ Smith runners, he doesn’t fall short on the score of experience. Hickman has a knack for finding quality horses season after season and has won stakes races with the likes of Sportsman, Sir Dex, Royal Purler and Mirjulisa Lass. “We’ve been lucky we’ve had one nearly every year,” he said. “This now is about doing the job, managing what you have to do. 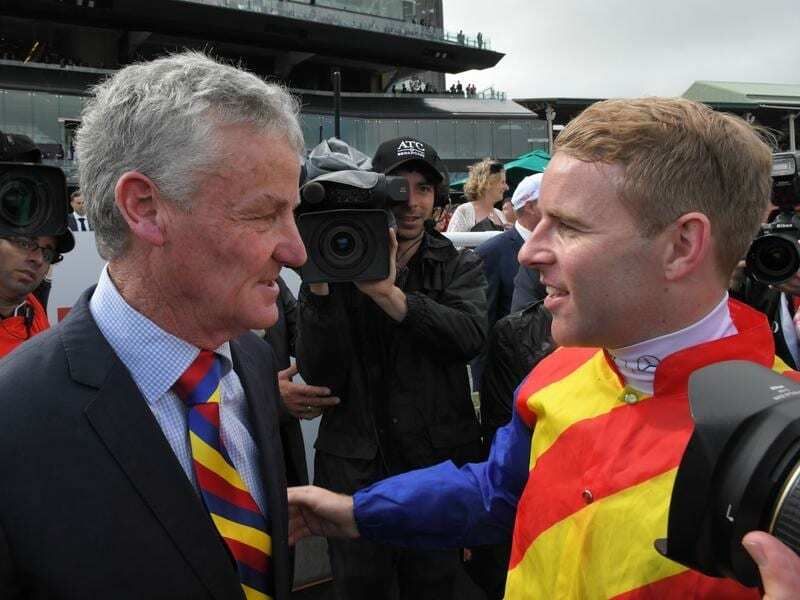 Pierata will be handled by Tommy Berry who has a distinguished record in the TJ Smith winning it three times aboard the now-retired Chautauqua. Trapeze Artist will bid to join Chautauqua and Black Caviar as the only multiple winners after saluting last year as a three-year-old, while Sunlight is out to become the first filly to win since Melito in 2009.